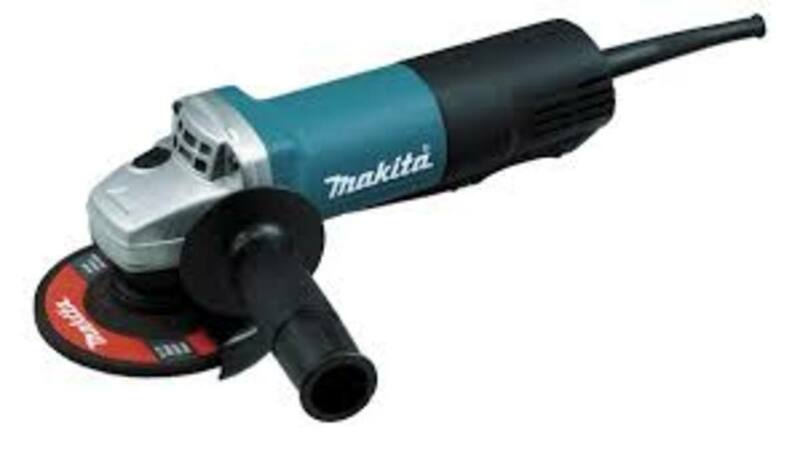 An angle grinder is basically an electric motor that rotates an abrasive wheel at 10000 rpm to 15000 rpm. 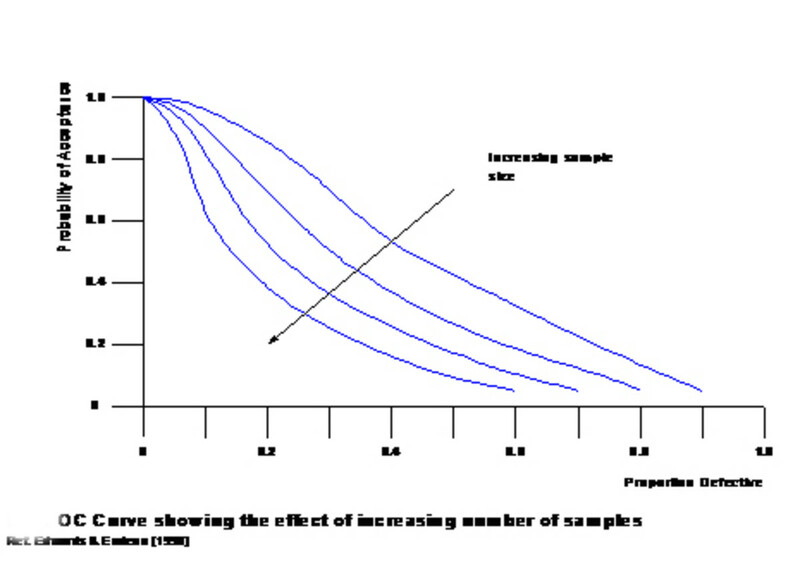 The speed is determined by the current drawn by the motor and the diameter of the wheel used. Bigger wheels rotate slower. 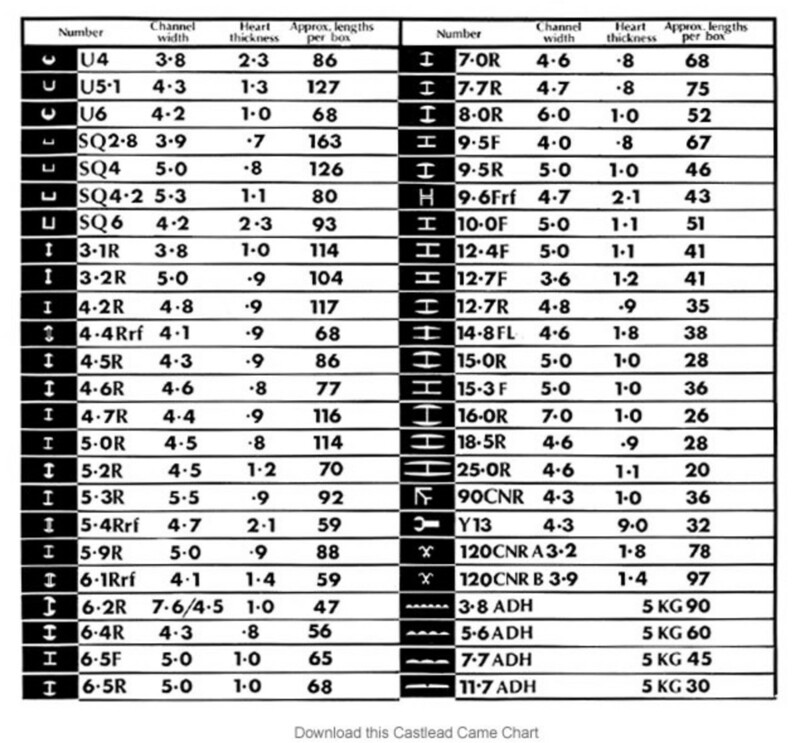 In this site we are discussing 4 1/2 inch cuttoff wheels which are the smallest available. 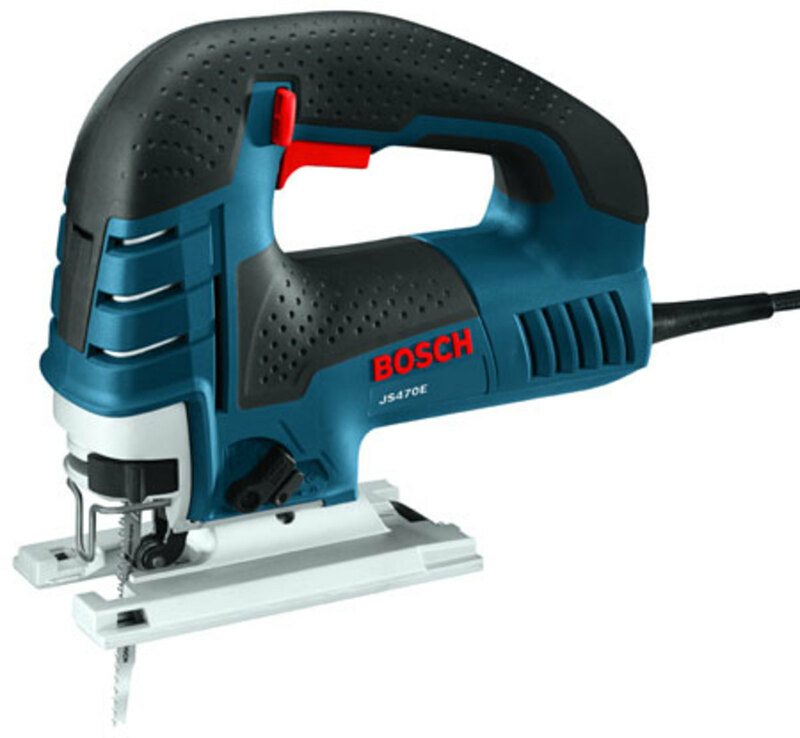 The grinder can be hard to control and quite dangerous to the inexperienced, so why would I recommend cutting straight cuts with it? 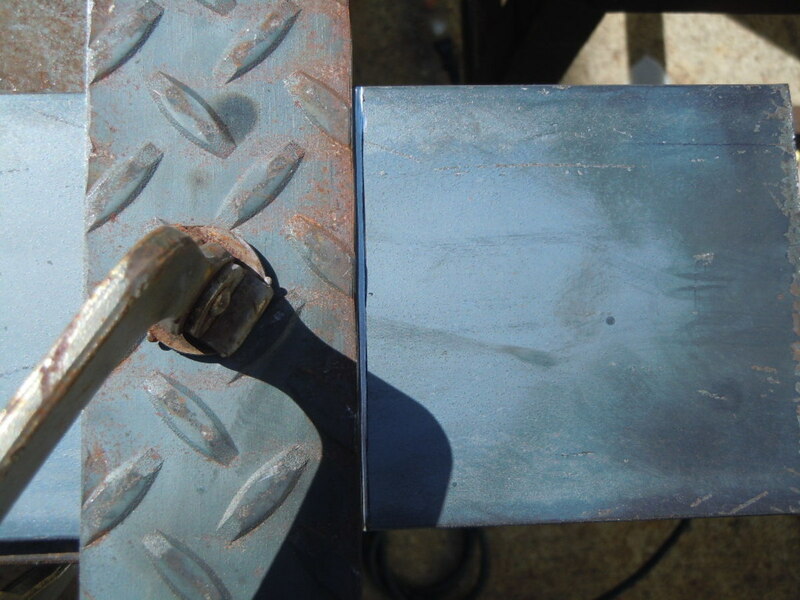 Because with patience, practice and taking the right steps, most anyone can use an angle grinder to make a straight cut in sheet metal or heavy plate. Besides, a decent name brand angle grinder runs $55 to $90 which makes it much cheaper than most metal cutting tools. Also, there is an added benefit of convenience. 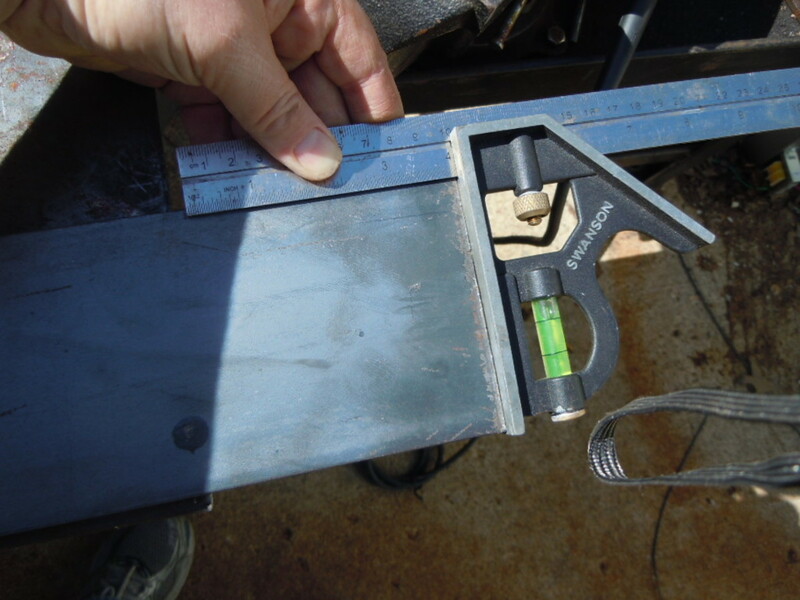 Some pieces of metal would be to awkard and cumbersome to cut on a chop saw for instance. 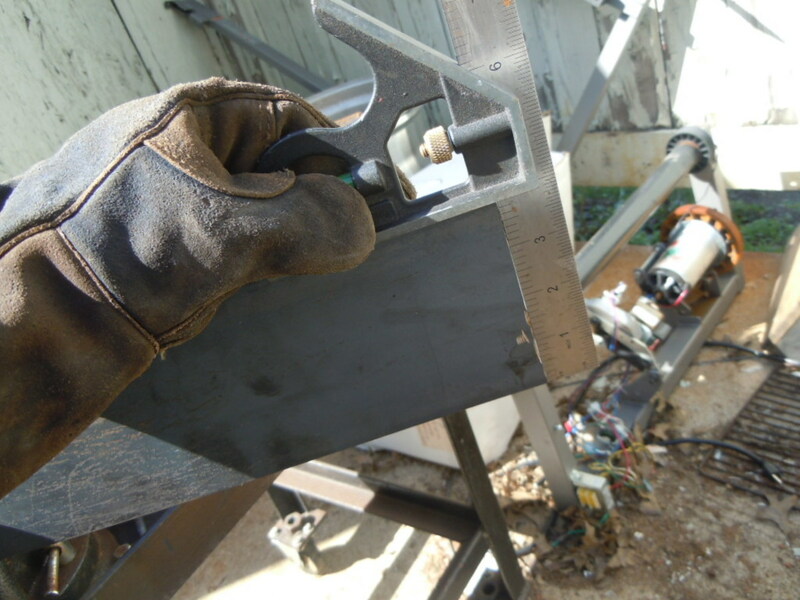 The grinder can easily be held in both hand while the work is clamped down tight. You basically make the cut where the work piece lies. 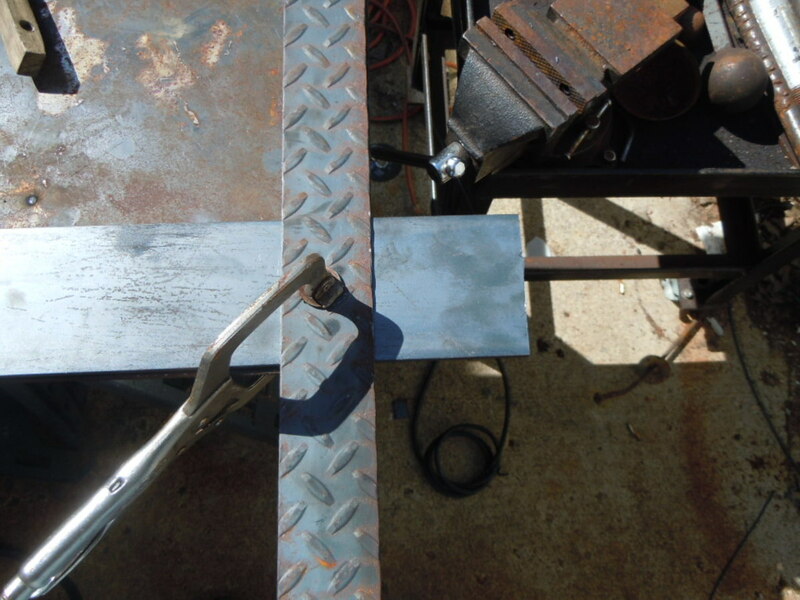 Here I am using a square to measure 4 inches from the edge of the steel plate. I use my sharpie and make a small mark. You can also use a soap stone if this is what you are most comfortable with. The cutting blade is 1/16 inch thick so if tolerances are important, be sure to line up your cut so it is just outside the line. 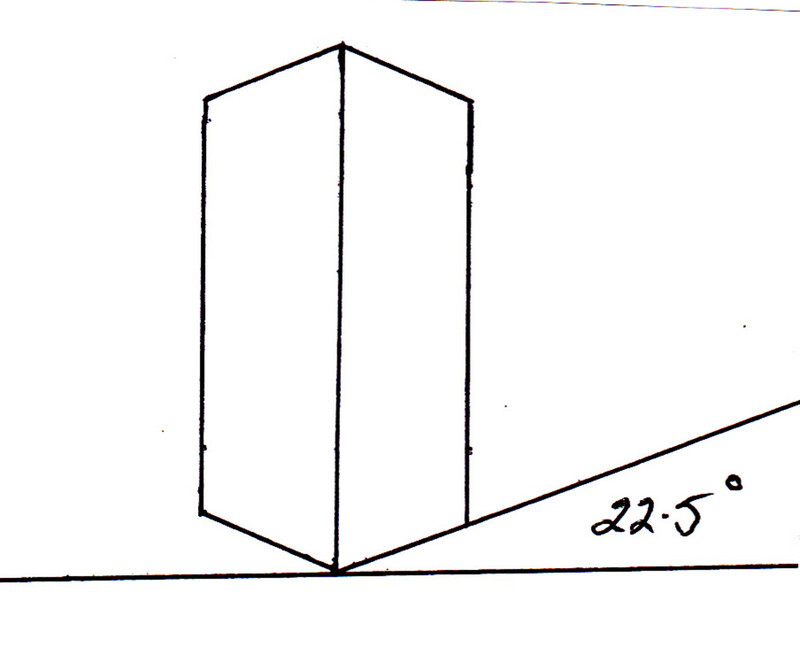 Once you have your mark for your measurement, Use your square or ruler to make a straight line all the way across where you will make the cut. Next take a straight piece of scrap that is not terribly important and line it up with the marked line. 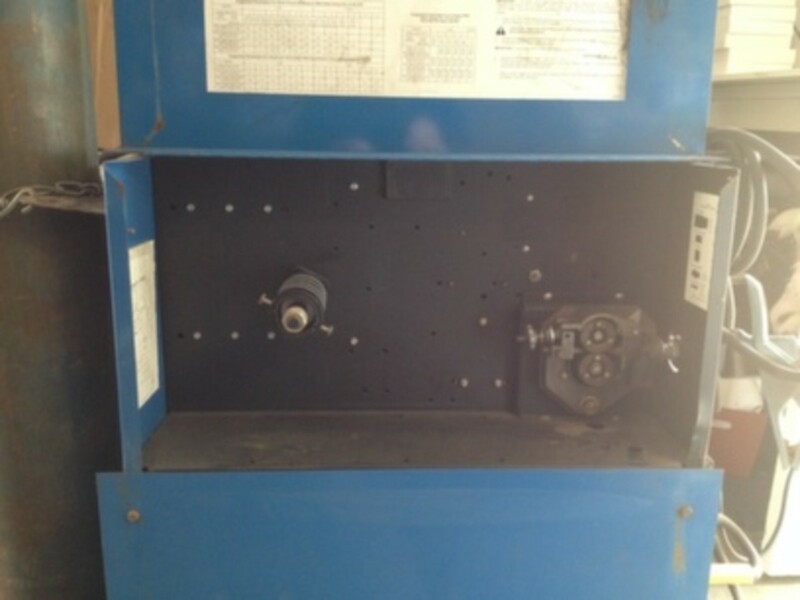 The scrap piece should be about 1/8" from the line to allow for the thickness of the cutoff wheel. Once lined up, clamp it down secure. Put on some leather gloves, goggles, and some hearing protection, and turn on the angle grinder. 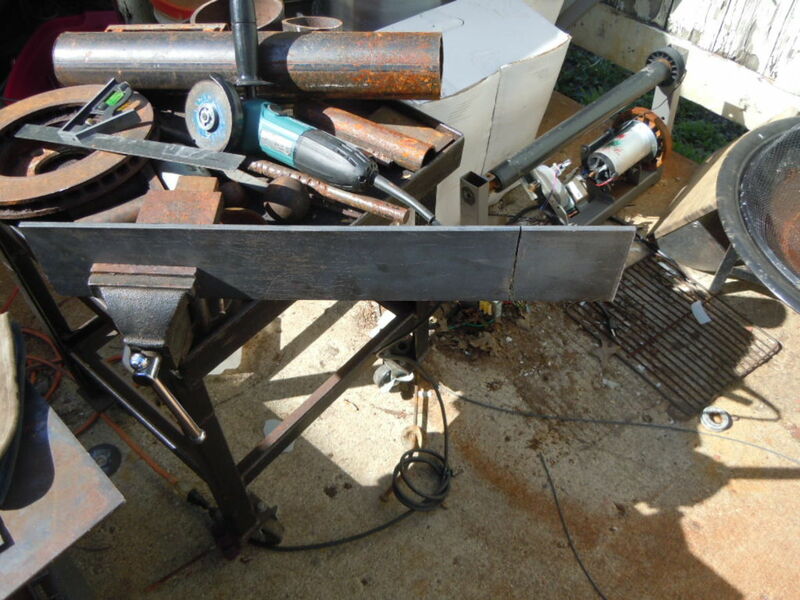 Use the wheel to follow the line and score the metal with the angle grinder. This will help you to stay on the line while cutting. The scoring creates a groove that is easier for the cutt off wheel to follow. Also, the shiny fresh steel groove makes the line far more visible. Now it is a simple matter of making sure the cutting stays within the score line. 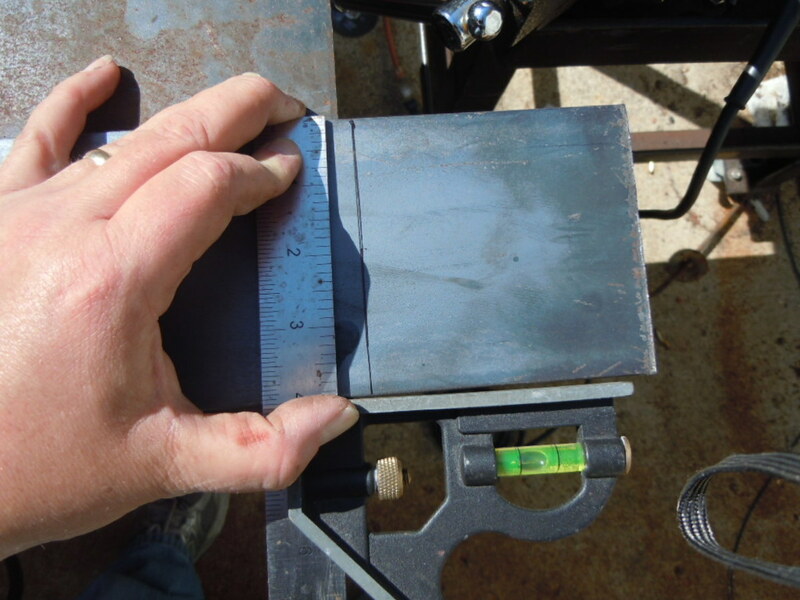 On thicker metal like this 1/4" plate, it may be best to place it in the vise as shown and make the cut vertically. Don't pay any mind to the pile of scraps. After you get the cut finished, check it with you square. If there is more light coming in on a portiion of the cut, change to a grinder wheel and carefully grind it to fix it. If you where careful, you should have very little, if any, grinding to do. Also, if you are skilled with the grinder and VERY careful, you can use the edge of the cutt off wheel to gently knock off the burs. You where probably wondering why I was cutting such a thick steel plate. 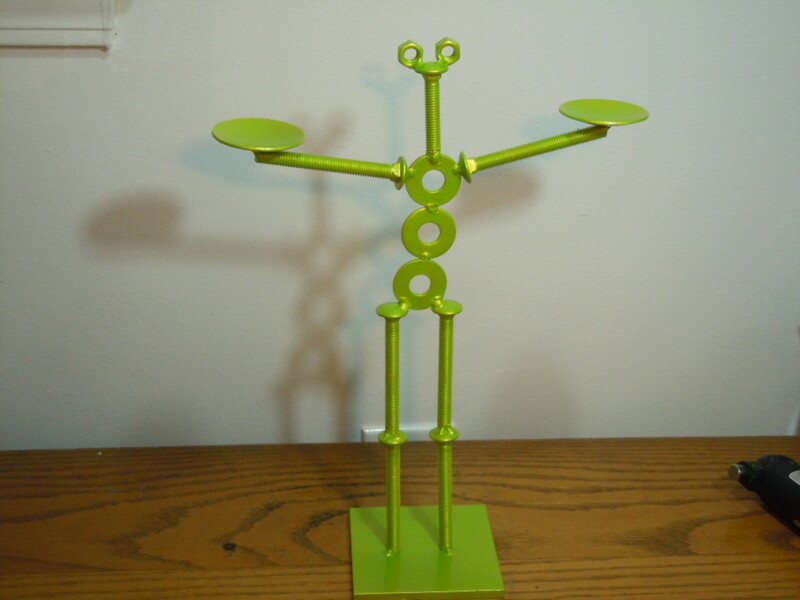 Well I wanted a thick heavy base about 4 inches square for my recent sculpture Bolt Man Candle holder that I have available in my etsy shop. He is made entirely out of reclaimed nuts, bolts and washers and 2 bobeches for holding tealight candles. In total, he stands about 15 inches tall. 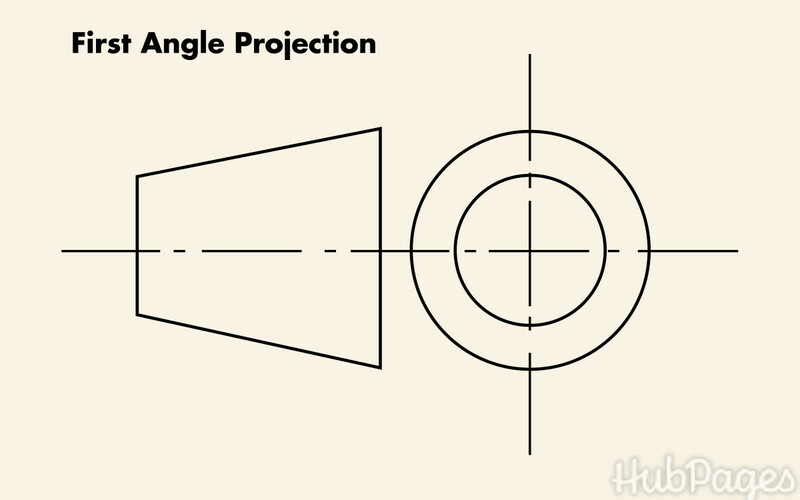 Basic math angle facts; angles in a triangle, on a straight line and around a point. Leadlighting Tutorial Lesson 2: How to make a leadlight. Get started with a simple clear glass leadlight. Design choice.